Buying a vacation home is an intimidating process. Balancing the financial responsibility of a second mortgage and caring for a second home can seem daunting, and that’s after you get through the often stressful buying process. However, with a bit of help and a lot of planning, you can have the Niagara on the Lake (NOTL) getaway you deserve. The good news is that you’ve already conquered the first step to selecting a great vacation home! Any expert will tell you that the key to investing in vacation homes is location, and you can’t do better than Niagara on the Lake. This town is filled with a vigour and vibrancy that hangs in the air like perfume. When you breath it in, it electrifies you to your very bones. The air is sweet, the water is resplendent, and that makes the properties worth investing in. Here is a brief rundown of some important things to consider when you are shopping for your vacation dream spot in Niagara on the Lake. After selecting a dazzling locale, you must find a NOTL realty agent to work for you. The perfect buying agent is essential in today’s market, as they represent you instead of the property’s seller. They can arrange viewings and purchases no matter what company is listing the houses that thrill you. Realtors arm your family with all of the forethought, experience and knowledge needed to buy the perfect vacation home. A buying agent that specializes in Niagara on the Lake can use local knowledge to help you find the best home for your family based on your needs, wants and budget. Speaking of your wants and needs, always consider nearby amenities when trying to pick your property. This includes both necessities and leisure. Of course NOTL has something for everyone, and it’s all within the distance of an easy drive. That said, you cannot beat a beautiful vacation home that immerses you in the things you enjoy most. Here are some great resources to help with this step, and for further information you can always speak with your buying agent. Another important question to ask when buying a vacation home is whether or not you will be able to rent out the property. 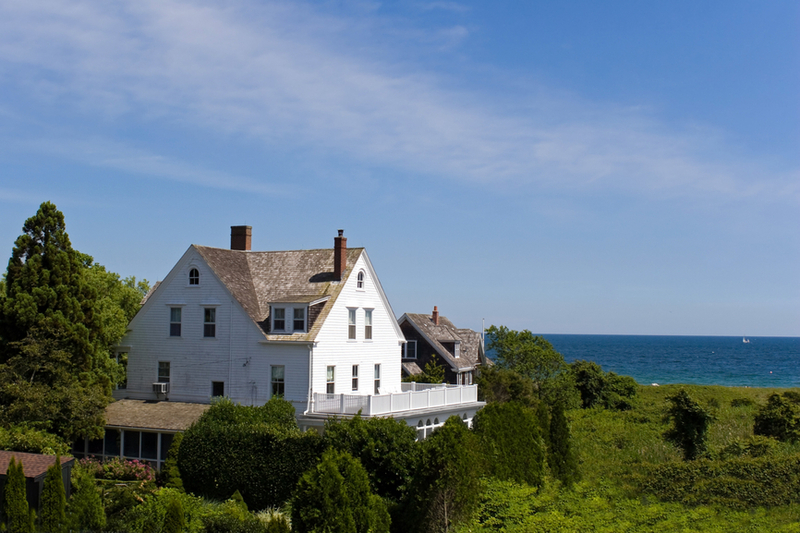 No matter how much we all wish we could escape our workaday lives, there will almost certainly be times when your vacation home is empty, and renting it out can really help cover the carrying costs of this sizable investment. Even if you are sure you don’t want to rent out your property now, having the option available can be a real blessing if hard times hit as they often do— unexpectedly. Whether you decide to rent out your property or not, it’s very important to consider all carrying costs. On top of your mortgage this could include renovations, taxes, landscaping, and upkeep. If you go into the buying process with a good understanding of your costs you are much more likely to enjoy your investment for years to come. I hope these considerations help you make informed and fruitful decisions about investing in vacation property in Niagara on the Lake. For more information on any of our listings, please feel free to contact me with any questions. This entry was posted in Blog, Uncategorized and tagged Niagara on the Lake, NOTL Realty, Vacation Homes on August 4, 2014 by wp_admin.